StumbleUpon allows you discover exciting and new internet sites.Stumble upon is an remarkable way to targeted visitors your website. StumbleUpon allows your Websites obtain the visitors and traffic. Using StumbleUpon is very easy just download the toolbar and start stumbling. StumbleUpon will show you sites based on Stumblers with similar passions and people that you follow.You may have interest for sites like cooking, technology, fashion or sports information. StumbleUpon will platform your passions,Likes and Dislikes.StumbleUpon is social networking site where we can rate websites by means of a easy thumbs up or thumbs down button on on a toolbar of your browser. 1. StumbleUpon toolbar is very simple and easy to use. Download the StumbleUpon toolbar Choose browser you like Mozilla Firefox, Google Chrome etc. 2. Go to Profile and make your profile just fill out your information, your interest and your website in things you want to stumble. 3. Make friends find your friends on Facebook, Twitter or your email accounts that are already stumblers. If u find any web page that interests you, just click on the “I like It!” (thumbs up) button. 4. Make sure to click on “like” so that StumbleUpon can start to find out what your interests are. 5. StumbleUpon considers repeat stumbling to be spamming, so always stumble other pages as often as your own. 6. Stumble ten other sites for every one page of your own.Suggest others Stumble your page if they like it. Follow your friends, family members, fellow bloggers that have similar interests. 7. Follow other StumbleUpon friends, which means they can follow you. Your StumbleUpon toolbar will also allow you to stumble other WebPages that your friend has "liked". 8. When you start following a person going to their StumbleUpons profile and clicking on “Follow” on the right side, you should also click on the box that comes up below, which is “acceptshares.” If you and the person that person both follow each other and have both clicked that box, there is a very easy way to share websites most effective way to get traffic to your site. 9. If you like any of the post just click “I like it.” then simply Share and Stumble it on your Facebook, LinkedIn, and Twitter. 10. Don’t Stumble Your Own Content and be an Active Stumbler and do not stumble posts from same website more than twice a day. 11. 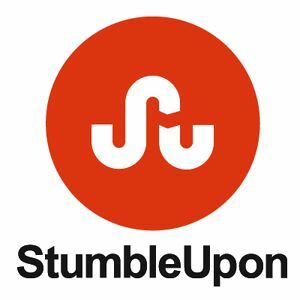 StumbleUpon drives the best traffic to a particular webpage when the account of the Stumbler is an active member of the StumbleUpon community so if you want to gain traffic from StumbleUpon, you MUST Stumble frequently and must be part of the community.